Despite looking like the byproduct of Barbra Streisand's romantic liaisons with a horse, Sarah Jessica Parker has still managed to carve out a career for herself in the industry. Not only by becoming a hugely likeable and charming actress, but on top of that, she's also demonstrated her brilliant comedic ability and serious fashion sense. So to celebrate the release of her first romantic comedy in five years, ALL ROADS LEAD TO ROME, we’re now taking a look back at some of her other roles over the years. What do you do if you're having problems with your teenage daughter? Well, if you're Maggie (Parker), a stressed out, uptight, single mother who teaches writing at a New York City college, and your daughter is Summer (Rosie Day), a troubled teen who has problems opening up: What you do is book yourselves a holiday to a Tuscan village which holds fond memories from your youth. However, almost immediately the chance for some much-needed mother-daughter bonding time hits a road bump, as they run into Maggie’s handsome former lover, Luca (Raoul Bova), still a bachelor and living with his eighty-year old mother (Claudia Cardinale). Based on Alison Person’s novel of the same name, this comedy follows the exploits of Kate Reddy (Parker), a high-powered finance executive who acts as the sole breadwinner for her family. Greg Kinnear, Pierce Brosnan, Olivia Munn, and Christina Hendricks, all co-star, with the central focus being on Kate’s endless battle to juggle marriage, children, and a high-stress job. Sarah continued her run of romantic comedies in this fish out of water flick, starring alongside Hugh Grant as Meryl and Paul Morgan. He's a Manhattan lawyer, seeking forgiveness after an infidelity he had, whereas she has moved on, pouring her focus into her career. But one evening, as he walks her to an appointment, pleading for a second chance, they witness a murder, and worse still, the murderer sees them. Quickly, the FBI demand that they both enter the witness protection program until the perpetrator is caught, and sends them off to a tiny ranch town called Ray, Wyoming. Forced to stay with the aging sheriff and his gun-toting wife, the Morgans find themselves with no alternative but to dissect their relationship, one piece at a time, all the while butting heads with the locals thanks to their stuffy New York ways. Matthew McConaughey stars alongside Parker in this rom-com as Tripp: an attractive bachelor with a great job, a great car, and a great house. Trouble is, he lives with his parents and they want him out. So what they do is hire Paula (Parker), an "interventionist", who specializes in ‘launching’ young men who are stalling at flying the nest. Her fail-safe formula for doing so involves dating him first, which is a ploy that has worked every single time, up until now. Too many secrets threaten to ruin the best laid plans, as well as the niggling doubt in Paula’s mind that she might actually really like Tripp. Picture the scene. A young man returns home for the Christmas holidays, with the intention of proposing to his girlfriend in front of his family. Problem is, the young man's family doesn't like the look of his girlfriend, prompting her to get her sister involved, only to then make matters even worse. 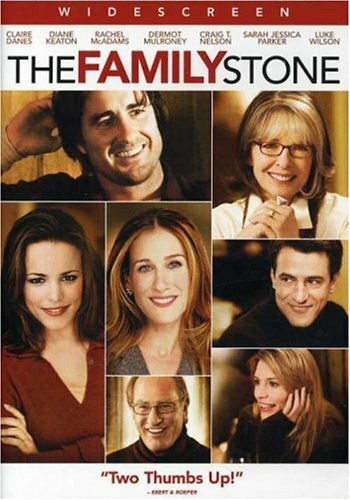 Parker, the girlfriend in question, was nominated for a Golden Globe for her performance in this star-studded romantic comedy-drama, which included the likes of Diane Keaton, Rachel McAdams, Luke Wilson, and Elizabeth Reaser, all of whom played the Stones, whereas Dermot Mulroney played the boyfriend, and Claire Danes played the sister. Do I have to write anything here? I mean, seriously? For whatever reason, this HBO TV series was a pop culture phenomena, and finally answered the question “is it okay to be a single woman past the age of thirty?”. Answer: YES. Yes it is. Parker starred as the shows linchpin, Carrie Bradshaw, along with three other cast members all making their way into the zeitgeist. Cynthia Nixon played the no-nonsense Miranda. Kristin Davis played the prim and proper Charlotte. And Kim Cattrall played a... a... errr... how can I put this nicely? How about, a very adventurous Samantha, who showed her skin to all in sundry. While the films which followed received mixed reviews, critics are generally in consensus when discussing the series, saying it was the best of a bad bunch, ha! Dead presidents, silly reporters, and a hoard of yelping aliens out to conquer the world! What is there not to love about this cult classic, and one that appears fairly frequently on pundits’ greatest comedy lists! 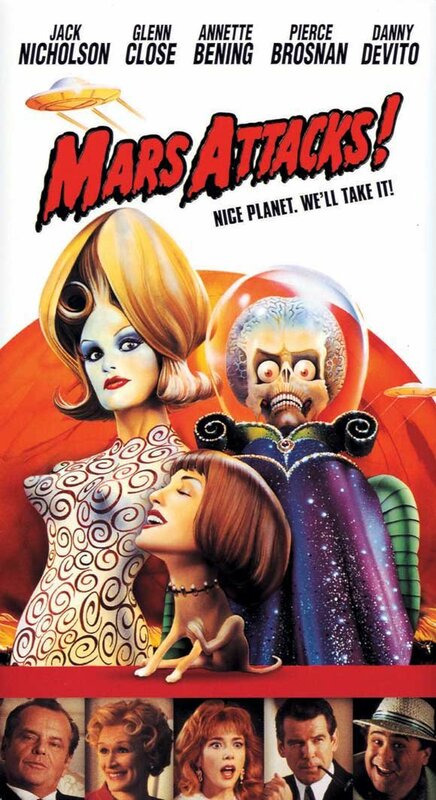 On the whole this sci-fi spoof boasts a plethora of non-stop gags and a fantastic cast, including the likes of Parker alongside Pierce Brosnan, Michael J Fox, Jack Nicholson, Annette Bening, and Glenn Close. When certain men reach a certain age, some of them decide to ditch their wives for a newer model. But of course, said ditched wife isn't always going to take this shoddy treatment like a nice little lady, especially since it took them years to help their husbands climb up the ladder of success. Reunited at a funeral, three old friends, played by Goldie Hawn, Diane Keaton, and Bette Midler, are determine to turn their pain into gain and come up with a plan to hit their exes where it really hurts -- their bank accounts. SJP takes an uncharacteristically villainous role as the catty younger mistress Shelly, who comes up against Bette Midler’s Brenda. This timely tale of teenage rebellion was one of SJP’s first major film roles, and features brilliant dance choreography as well as great performances. When teenager Ren McCormack (Kevin Bacon) and his family move from the big-city of Chicago to a small Midwestern town, the culture shock is huge... really HUGE. Despite his best efforts to fit in, he’s living somewhere where rock music and dancing are illegal, and refuses to take it lying down. 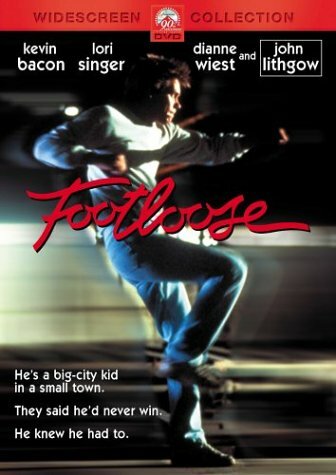 With a little help from his new friends, including the beautiful Ren (Lori Singer) and her best friend Rusty (Parker), he attempts to take on the establishment, with toe-tapping results. 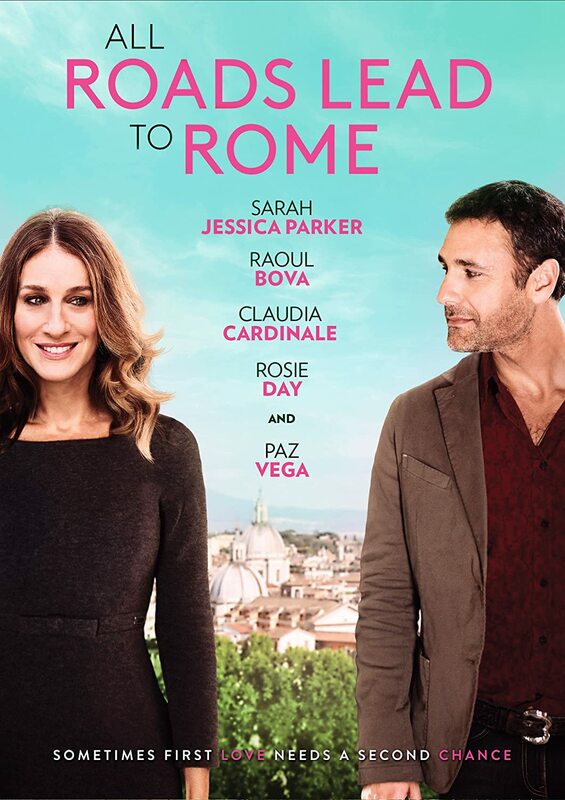 ALL ROADS LEAD TO ROME arrives on digital platforms from the 8th of February, 2016, and on DVD from the 29th of February, 2016, courtesy of Signature Entertainment.